It’s your wedding. You are about to embark on a lifetime journey, so depleting your entire lifesavings at the start is a terrible idea. Never fear! It is entirely possible to have the wedding of your dreams without busting the bank. A beach wedding with Affordable Beach Weddings is the perfect way to get the wedding that dreams are made of…and get it affordably. Think about it, you already have nature’s most majestic scene as your backdrop. The rest is gravy! All you really need are you, the love of your life and the people who mean the most to you. It can be as simple or as elaborate as you want to make it, but whatever you decide, a beach wedding is always a beautiful thing! 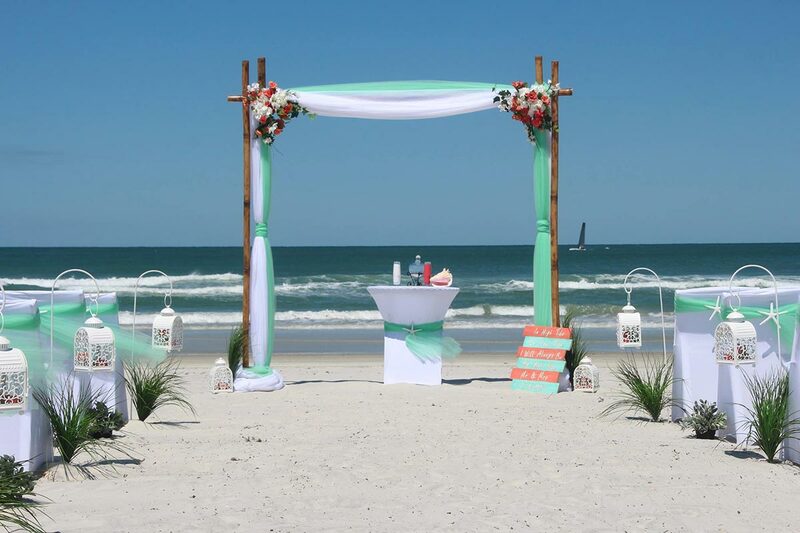 It sounds simple, but there are still a lot of details to coordinate and Affordable Beach Weddings can handle those cost-effectively while you relax and enjoy your day. You will need the proper permits, legal documents to file, an officiant, chairs for your guests. 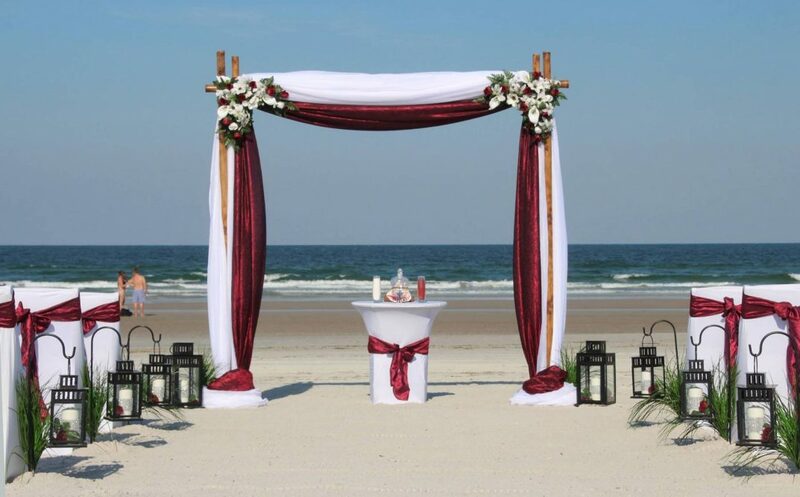 You may want music, an arch that is artfully decorated with your favorite flowers, a welcome table and canopy. The start of your life together is exciting, and there are plenty of things you may want to do, like paying off your student loans, buying a house or maybe just setting some rainy day money aside so that you are safe in the case of any unexpected expenditures. Why not have the wedding of your dreams AND keep your savings safe? Affordable Beach Weddings will enable you to have your wedding cake and eat it too! For more information, call 386-428-0777 or 386-279-1179. Ask about our special wedding package pricing!